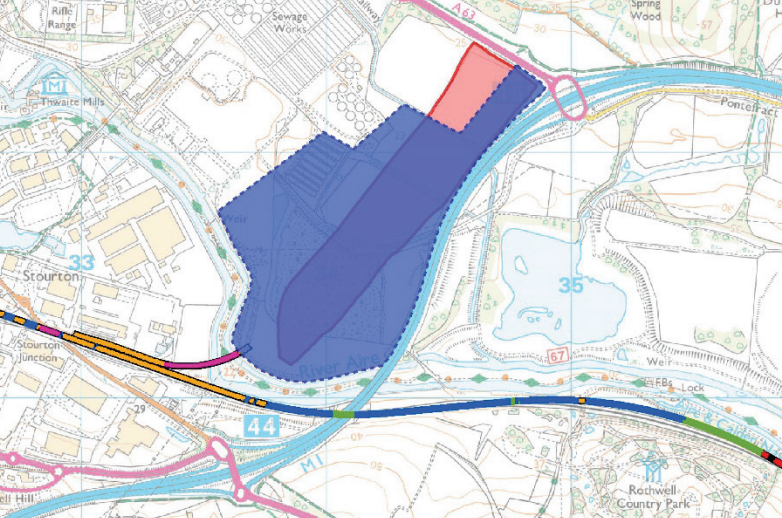 HS2 will build a maintenance depot opposite Arla and next to the M1. This replaces the depot originally proposed at Crofton. The depot will be operational 24 hours a day. 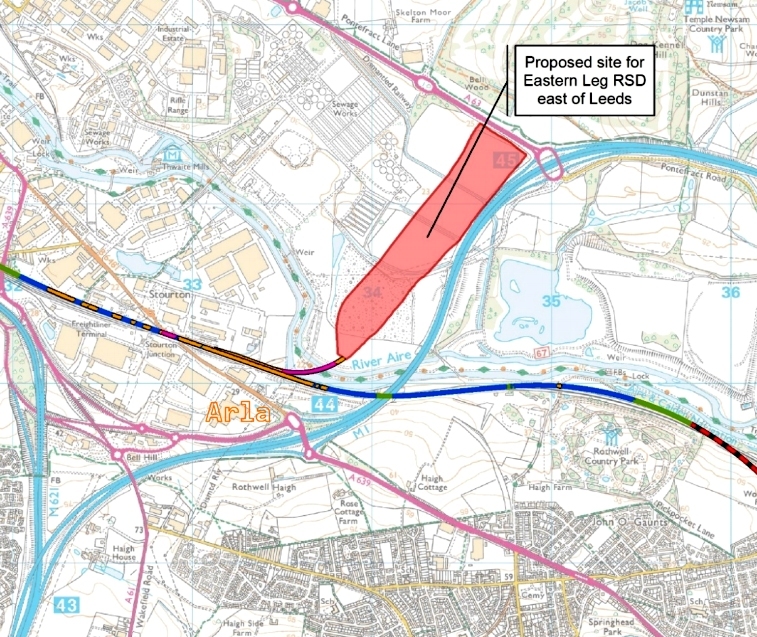 The government has confirmed that the new HS2 rolling stock depot will be constructed in Leeds, driving forward local regeneration and creating up to 125 skilled jobs, ensuring Yorkshire benefits from the arrival of HS2. Read the announcement and the detailed justification for more information. The small number of new jobs indicated doesn’t justify the destruction of our area! The depot connects to the HS2 tracks and is likely to cause further disruption to local rail services while these connections are made and realignment of the existing railway takes place. There are currently no firm estimates as to the severity or period of disruption anticipated. Please take a look at our photos and videos that will give you an idea of the impact of HS2 on our area. Join the discussion on Facebook to keep up to date with news as it happens and share knowledge. Take a look at our illustration of the viaduct towering over Woodlesford and the spur heading for the tunnel under the village.